Cheap Website Design Built On WordPress For Your Convenience! There’s no more excuses. With prices this good, it’s time to get the professional looking website you’ve always wanted. All of my cheap website design packages are built on WordPress and pricing starts at only $275. If you really want to stand out, check out my Professional WordPress Package for $550. It costs a little bit more but it’s packed with extras to help make your website a total success. Don’t know what WordPress is? Easy. It’s a popular content management system (CMS) that allows website owners to update and manage their website with no code experience. Questions? Call me at 814-577-3659! I’ll be happy to discuss your project with you! Ready For The Big Time? Go Pro! My Professional WordPress Package is a excellent choice for businesses and individuals who want to make a big statement. You’ll receive a high quality website with tons of added extras that will help you succeed. Please review all of the toggles below to learn what is included in this package. I offer instructional documents and videos that will show you how to update and manage your website. I’ll add up to 15 pages for you! Just tell me which pages you want (example; home, about us, contact us, etc.) and send me your content. I’ll add each page and format the content so that it looks great. If you want me to help add and format additional pages, I can do so for $10/page. Since the website is built on WordPress, you can also add additional pages on your own. Please Note: I do not provide or write content. It’s your responsibility to provide a majority of the content that goes on the website. I partner with professional copy writers if you need professionally written content. You don’t need to have your content ready before you order! If your content is not ready yet, I’ll add filler text and can replace it later. If you need images for your website, you can choose up to 5 professional and legally licensed stock photos from 123rf.com. You can browse through millions of photos and once you find the ones you want, simply take note of the URL or the Image ID for each image so that I can find it. TIP: I’ve seen many website owners (and web designers) illegally use copyright protected photos from image depositories such as Google Images. If you are not the creator of an image, you must have usage rights to be able to use it legally. Using an image without consent is a very bad idea. When working with me, you can rest assured that all imagery is licensed and acquired legally. I’ll perform basic on-page search engine optimization for up to 3 pages. This includes things like proper keyword density, page snippets, link/image usage, and title/alt tags. I will also ensure optimal page speed and mobile usability, since these factors can affect your ranking. If you need more than 3 pages optimized, you can order my On-Page SEO Services for an extra $50/page. *The 3 pages that you choose for optimization should have enough content to work with. It’s very difficult to optimize a page that has little to no content. I’ll create any type of online forms (contact form, application form, etc.) with inputs to collect the information you need. When someone submits the form, the details within will then be sent to an email of your choice. I will also style the form so that it matches your website and optional CAPTCHA (not a robot) can help prevent spam submissions. I will add your existing logo to the new website. If you don’t have a logo yet or need a new one, you get a $25 discount on my Professional Logo Design Package! I’ll setup your Google Webmaster Tools account and submit your XML sitemap for indexing. I’ll also setup your Google Analytics account and implement the tracking code into your site. Premium Google Analytics + will allow you to monitor real data and statistics right from your WordPress admin dashboard. Just Starting Out? Go Basic! 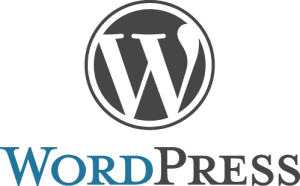 My Basic WordPress Package is a good choice for businesses and individuals looking for a simple, yet professional online presence. You’ll receive a quality website that can be easily expanded as your needs grow. Please review all of the toggles below to learn what is included in this package. I’ll add up to 5 pages for you! Just tell me which pages you want (example; home, about us, contact us, etc.) and send me your content. I’ll add each page and format the content so that it looks great. TIP: My Professional WordPress Package above includes up to 15 pages! Your site will come equipped with Yoast SEO, a popular plugin that will allow you to analyze and improve the optimization of your content. Each website that I build is already search engine friendly, but having properly optimized content can help you rank better in search engines. Instructional documentation and videos are included. If you would rather have me optimize your pages, you can order my On-Page SEO Services for an extra $50/page. TIP: My Professional WordPress Package above includes 3 pages of SEO! I’ll create any type of online form (contact form, application form, etc.) with inputs to collect the information you need. When someone submits the form, the details within will then be sent to an email of your choice. I will also style the form so that it matches your website and optional CAPTCHA (not a robot) can help prevent spam submissions. Extra online forms can be added for an additional cost. Otherwise, you may opt for my Professional WordPress Package above, which includes multiple forms. I’ll connect your social media accounts to your website with branded icons that will link to each corresponding account. I’ll add your existing logo to the new website. If you don’t have a logo yet or need a new one, check out my Logo Design Services. TIP: If you order my Professional WordPress Package, you’ll receive a $25 discount on my Professional Logo Design Package. I can also submit your sitemaps to Google for an additional cost. TIP: My Professional WordPress Package above includes an XML Sitemap + Google Integration, which will handle everything for you. Once your website is complete, I’ll be available to answer any general questions you might have about your new website. I will also take care of any issues that arise out of my own workmanship. You can also rehire me for Website Maintenance on an as-needed or monthly basis. If you have any questions, be sure to contact me first so I can address them. Once all of your questions have been answered, you can order your preferred cheap website design package above. You must order a service before I can begin working for you. I do not offer free mock-ups or split payments, unless you have a larger order total. Once you place the order, I’ll contact you within 24 hours to discuss the details of your new website. You’ll have the opportunity to provide me with any example websites that you like, color preferences, or any content that you have ready for the website. No, there’s never any hidden costs or fees outside of the normal costs associated with running a website. For example; you’ll need website hosting and a domain, both of which have their own separate costs. You may also run into maintenance costs if you choose to re-hire me (or someone else) to make updates or changes to your website once it’s complete. Additional costs can also arise if you choose to have extra features that are not part of a package price. If this is the case, you’ll likely know about any additional costs before you order. So, as you can see, you may run into additional costs, but they should never be hidden or a surprise to you. Do you provide the content for my website? No, I do not provide or write content. It’s your responsibility to provide a majority of the content that goes on the website. I can provide stock photography and minor content writing where necessary. If you need professionally written content, I partner with professional copy writers which I can refer you to. Can I make payments instead of paying the full amount upfront? I do not accept payments (example; half down, half upon completion) unless you have a larger order totaling $1000 or more. If you need financing, you can finance your purchase with PayPal Credit (subject to credit approval). Simply select PayPal Credit when checking out. Do I need to have my content ready before I order? No. If your content is not ready yet, I’ll temporarily add filler content. Once your content is ready on your end, you can send it over and I’ll implement it into the website. It’s sometimes easier to prepare your content once you see the initial design, that way you can tell me exactly where you want things to go. It’s my goal to provide you with a website that you’re 100% happy with. I’ll do my very best to ensure your satisfaction by offering unlimited revisions during the development process until you’re 100% satisfied. If you’re not happy with your cheap website design, I’ll do my best to make it right! Is website hosting and a domain name included? No, website hosting and a domain is not included in the price of any website package unless otherwise specified. I offer better hosting than most places and it starts at only $95/year. I also offer domain registration services. Most common extensions like .com, .net., and .org are only $15/year. No, you don’t have to host with me. You can host your website anywhere you’d like as long as the minimum technical requirements are met to run the website.